Toward the beginning of 2013, HBF Reader [8 Ways to Connect with HBF] Kirk encouraged me to look around for a suitable whisk for stirring up the mash. This was a new idea for me. Others chimed in that this works well as a mash paddle or spoon replacement, making quick work of breaking up dough balls. 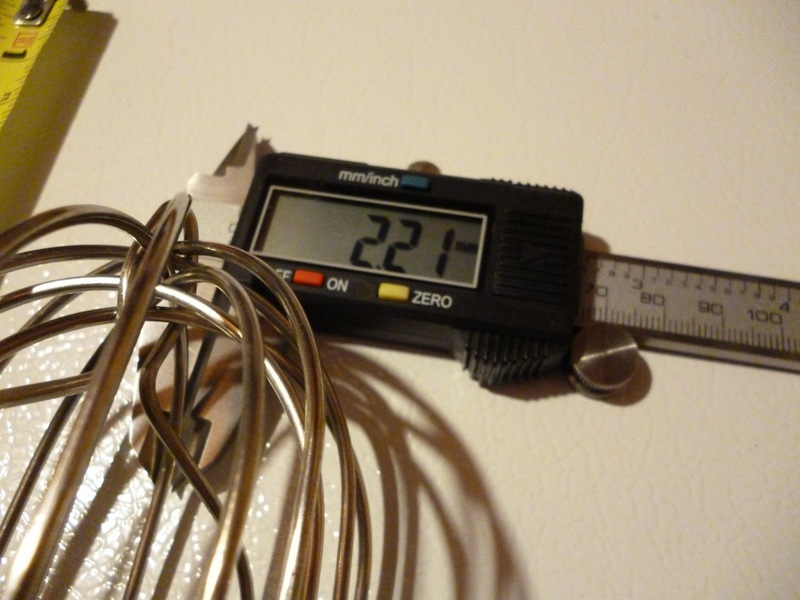 I found this 24″ stainless whisk and decided to pick one up myself. 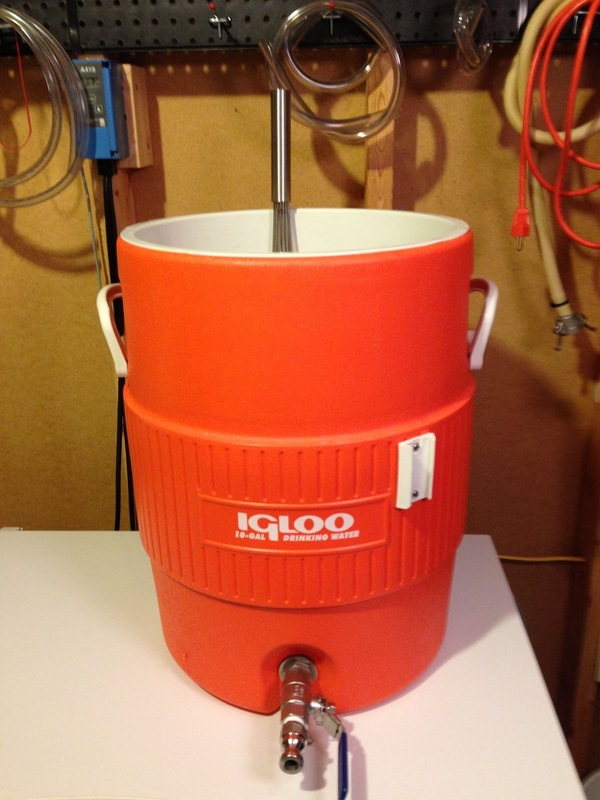 I use a 10 gallon Igloo Cooler for my mash tun. As you can see this is plenty long enough to get to the bottom. This is a nice sturdy whisk. I came up with about 2.2 mm for the wire thickness. This works great for stirring up the mash. I’m using it here to stir up the mash for a BIAB brew session of More Beer’s Pliny the Elder Kit [See: Brewing Pliny the Elder]. 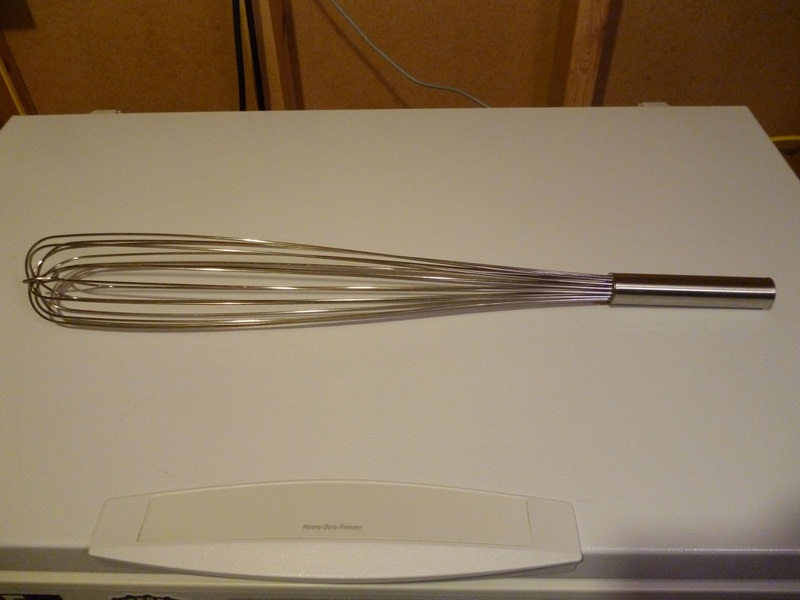 This whisk also works great for stirring in DME and LME. In this picture, I’m brewing a Zythos IPA Extract Kit. After incorporating the LME in this recipe, like a super hero, with this whisk. I poured in the DME and Maltodextrin called for and let it sit there for a little bit. This, of course caused a substantial clump to form. After a little more whisking. This whisk makes easy work of stirring in extract. It also feels like it’s doing a better job of thoroughly mixing extract versus a spoon. It’s hard to catch it in a picture but this thing makes it easy to get a kettle whirlpool going. I’ve always had a hard time getting any sort of a whirlpool going with a spoon or mash paddle. 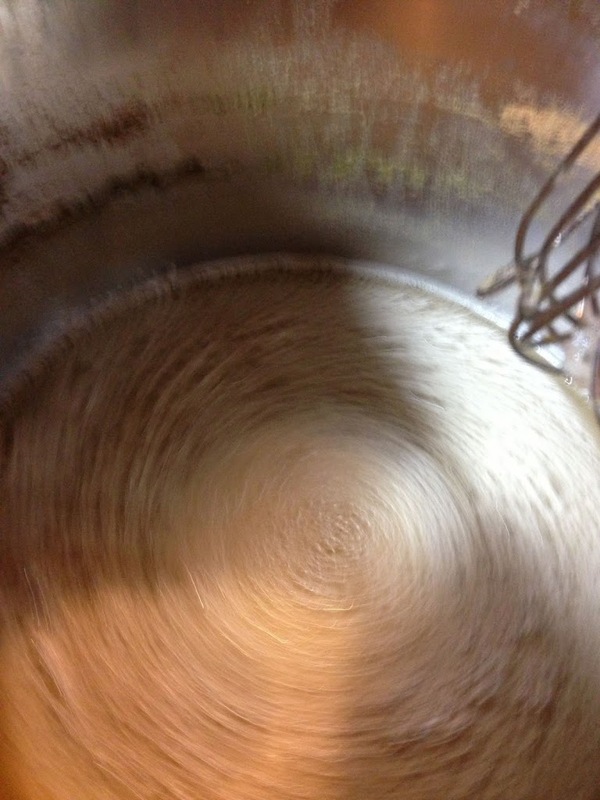 The whisk is circular, so it’s always working with you in the task of starting a whirlpool. This just makes it downright easy. This works amazingly well in the mash tun, to stir in extract and to get a whirlpool going. It can generally be had for a very reasonable price. Because of the affordability and it’s effectiveness, I think that every full batch (5 gal+) homebrewer should consider picking one up. This is a solid member of our Top Finds list and would be added to the Super Top Finds list if that list existed… :). As of this update in August of 2015 this continues to work well and be one of my go-to pieces of equipment. 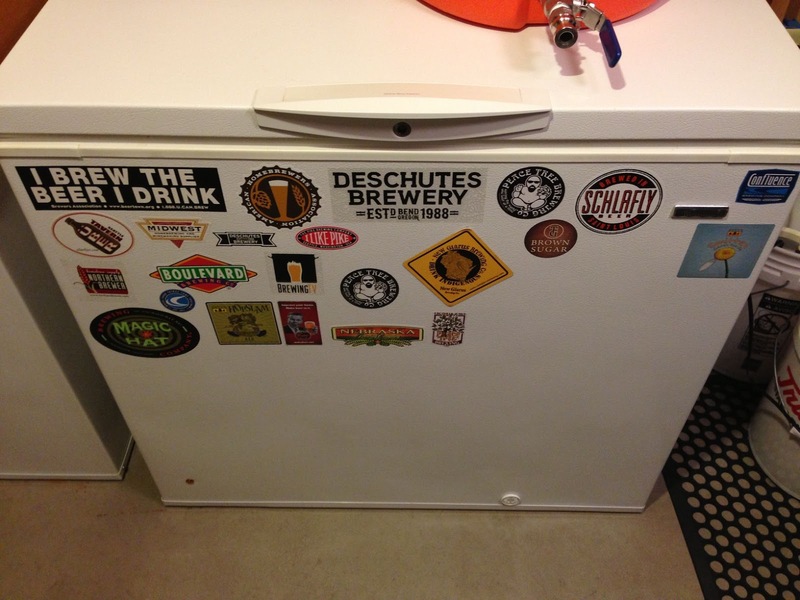 Scott: I used this for the first time yesterday with 11.5 pounds of grain and it worked like a champ! No dough balls at all – mixes the grain so quickly! Facebook Friend Kirk: I used mine yesterday. I have dubbed it the Dough Ball Decimator! Ricky: I got one of these the last time it was posted. They work great. You stir your mash differently. You can’t really muscle your mash the same way. It works better despite this. It’s much easier to break clumps up. A little two handed whisking gets everything is evenly mixed. 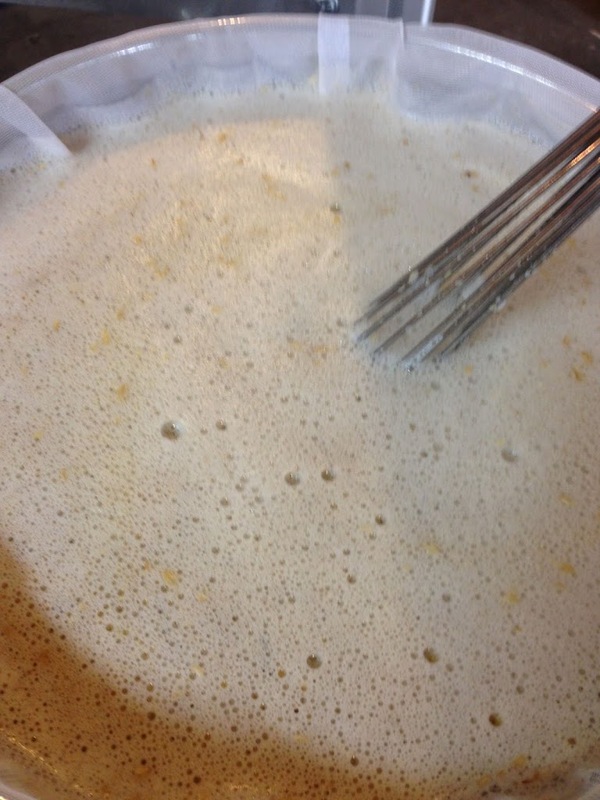 Facebook Friend Andrew : I have used one for my last 2 yeast starters to mix the DME before boiling… Amazing. 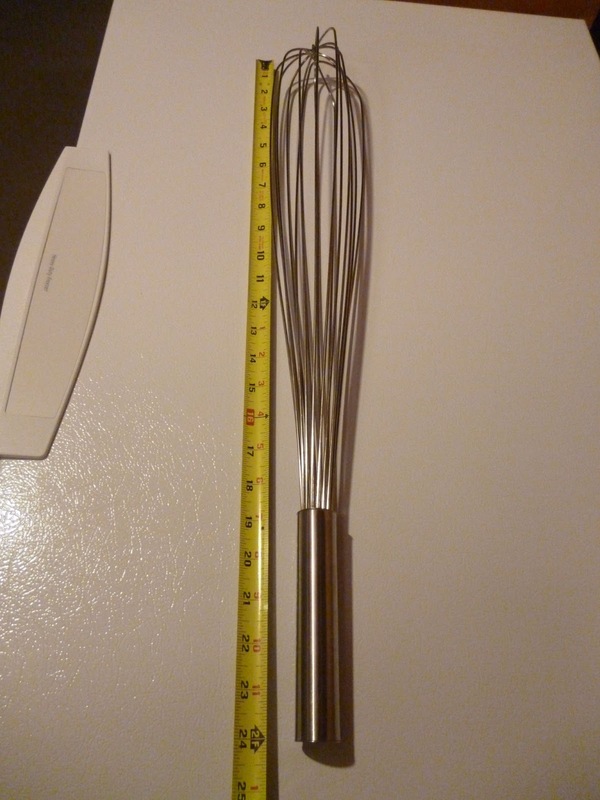 Jared: After following your site for quite some time now, and purchasing many items because you let me know about them, I just received the 24″ whisk. I can’t believe how awesome this thing is just by pulling it out of the shipping package! I am so excited about this I might just have to brew this weekend even though I don’t really have the time. Not only would this piece be awesome for the mash, but dissolving LME and DME and keep it off of the bottom. What a great piece of equipment and thanks for sharing it! Aaron: I have this exact same French Whip and love it, works way better than the old mash paddle I used before. It really cuts through the grain and helps ensure no dough balls etc. Definitely recommend this above any other stirring tools I’ve used! Facebook Friend Wayne: I discovered using one of these about 3 years ago. Don’t know how I ever got along without it. Never have a problem with doughballs. Just make sure you get one that is stiff enough. This entry was posted in All Grain, Amazon, ig, Mash Tun, Reader Feedback, Reviews, Reviews & Top Posts, Stirring, Top Posts on February 14, 2013 by admin. So I may be using more pounds of grain but had a semi hard time getting a really good mash in with just the whisk. Granted I am trying to be quite careful as I dont want to put any oxygen into the mash so have to go at a slower pace but just trying to get like 30-50 lbs of grain mashed in seems to be semi problematic. Have had to use a douled wooden spoon to do the initial movement and then switch to the whisk to finish it off more or less. Definitely is sturdy and can see some benefits for sure! I have this exact same French Whip and love it, works way better than the old mash paddle I used before. It really cuts through the grain and helps ensure no dough balls etc. Definitely recommend this above any other stirring tools I’ve used! Thanks Aaron! I added that to the post.